Home / Networking Essentials / What is Network Topology & Its Types of Topologies ? 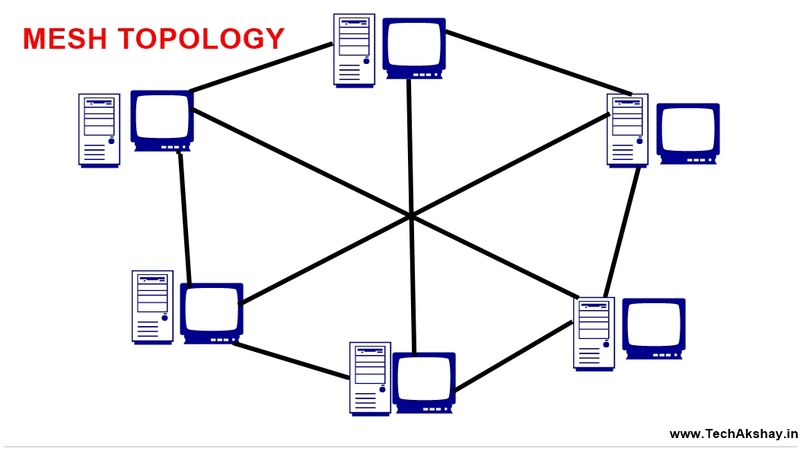 A network topology is the arrangement of the various elements (links, nodes, etc.) of a computer network. Essentially, it is the topological structure of a network and may be depicted physically or logically. 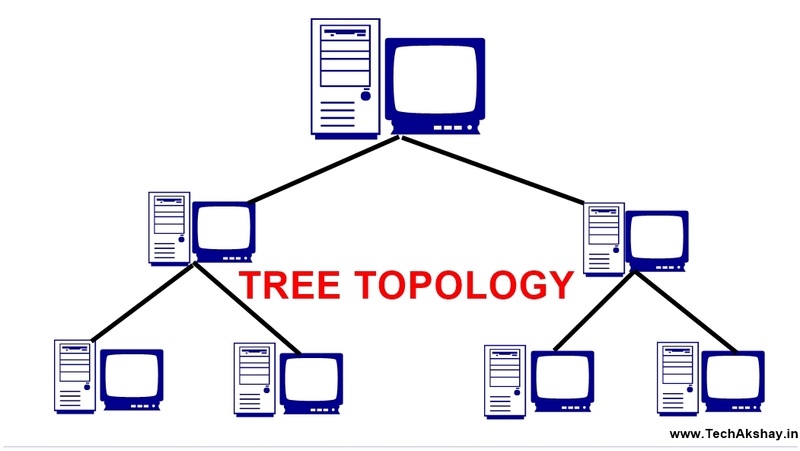 Topologies are divided into two types. 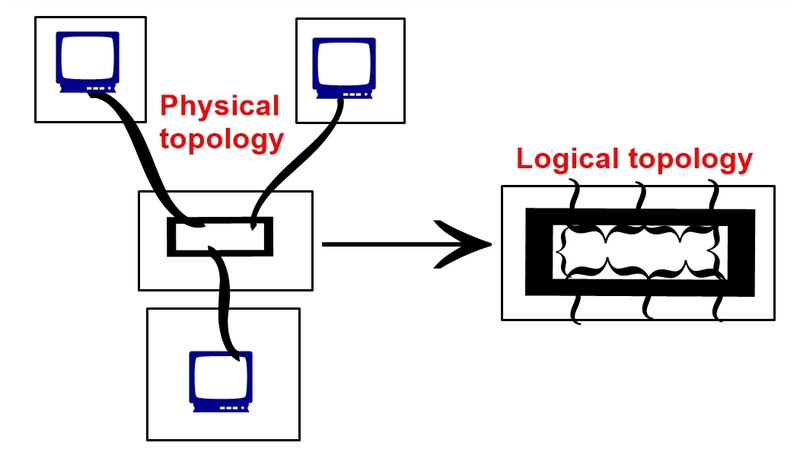 One is called physical topology & another one is logical topology. 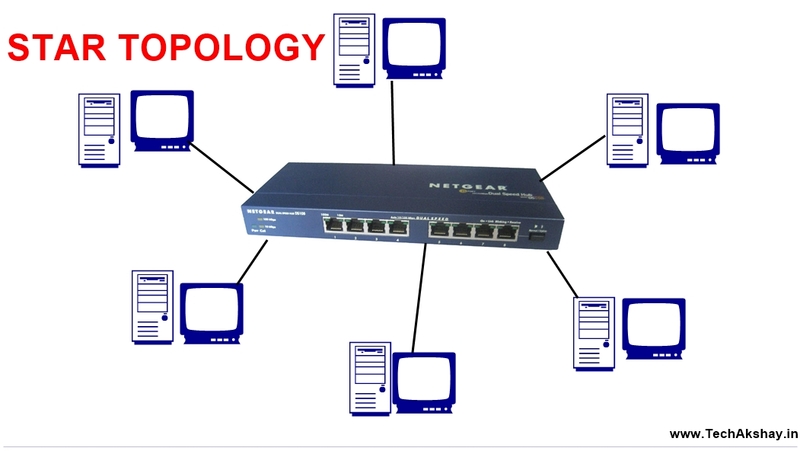 The network topology impacts performance. The network topology is a factor in determining the media type used to cable the network. The networking topology impacts the cost of cabling the network. Some access methods work only with specific topologies. Knowledge of network layout/topology helps to optimize the network performance and troubleshoot network performance issues. the table shows the cable types associated with each topology. What are the Networking Devices? How They Work? 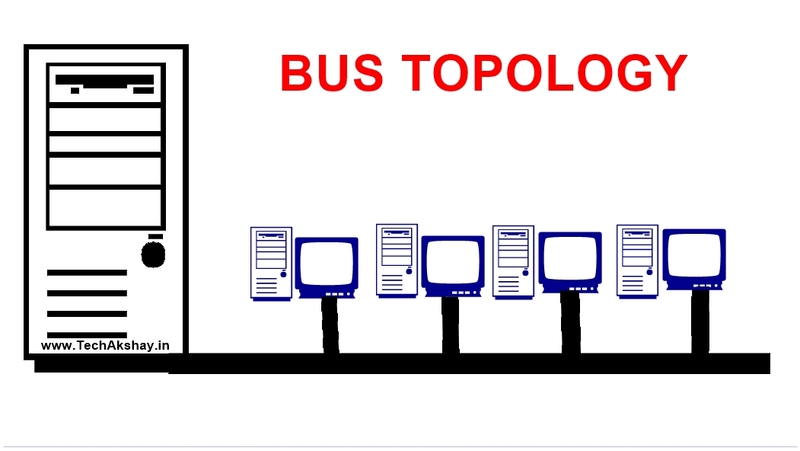 Bus topology is a network where all the nodes are connected with each other with single common cable. When one node wants to access another node on the network then it puts a message addressed to that device on the bus network. It is very easy to connect a node or peripheral in this network. Bus network requires less cable length than any other topologies. As the total network is depended on a single cable so if any problem occurs in the main cable, the entire network shuts down. At the start & the end point of the main cable, terminators are required to build up the network. This network cannot be used as a stand-alone solution in a large building. 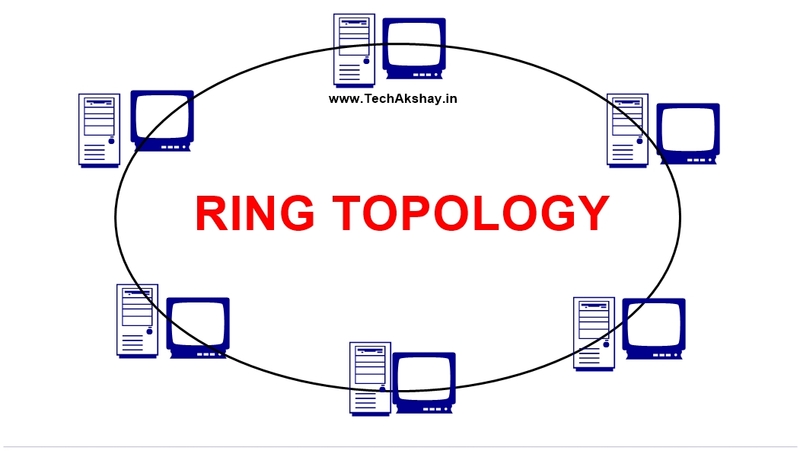 When each device is serially connected in a closed ring pattern with a single cable then the network system is called ring topology. As a train crosses all the platforms to reach its destination, ring topology does the same to pass a message from one node to another node. The network does not do anything without an order. It needs to access the token & the opportunity to transmit. In this network, each & every node has equal access to resources. The performance does not get interrupted by any additional components. A network server is not needed to control the connection between nodes. In this ring network if any node breaks down then the entire network system stops working. The speed of transferring data is slower than any other topologies just because a packet of data passes through all the nodes between sender & receiver node. The entire network could be affected by moving, adding & changing of devices. In this configuration, all nodes are connected to a central Hub with separated cable. here the central node or hub acts like the main server & the other nodes which are connected to the central node, act as client devices. In this type of network, it is very easy to add or remove a node to the network system. Here if any fault occurs it is very easy to find out & fix it up. If anyone node faces a problem, the rest nodes perform smoothly without affecting the whole network. It is more expensive than any other topologies to build up the network because it requires an excessive length of a cable. The entire network goes down if the central node (HUB) does not work properly & also if other important nodes are disconnected from the network, example file server node stops working. the central hub is expensive which makes the network more expensive. Here each & every network is interconnected with each other. It works independently. Adding or removing nodes in this network could be done easily without interrupting the other nodes & the network. Here the transmission of data is very easy because it transfers data from different nodes simultaneously. in this configuration transfer of data does not get affected by any peripherals because if one node fails there is always an alternative one. It is very hard to configure the network & also very difficult to maintain. Mesh topology is comparatively expensive when compared with other topologies like ring or star topology. A tree topology like the branches of the tree where each & every node are connected with its parent's node. It is also called by the name of star+bus topology. Here finding out any fault is very easy & not too hard to maintain. If one of any nodes get damages the other hierarchical nodes are not affected. It is very easy to extend the network as much as the administrator wants. The network requires high maintenance. A lot of cables is required to establish the network system. Troubleshooting of problems is highly difficult. 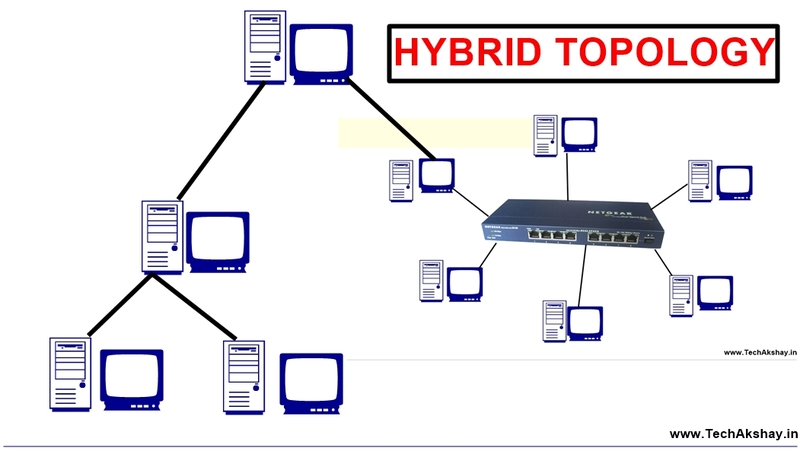 The hybrid topology is the combination of two or more different network topologies. This network is a mixture of both peer-to-peer & client-server network. It can be either wired or wireless network. Here in this network, the troubleshooting is far better than any other topologies. This type of network is very easy to expand. The structure of the network is hard to understand. It is very expensive to build up the entire network because of the requirement of cables & other peripherals. Multi-station Access Unit MAU is required.